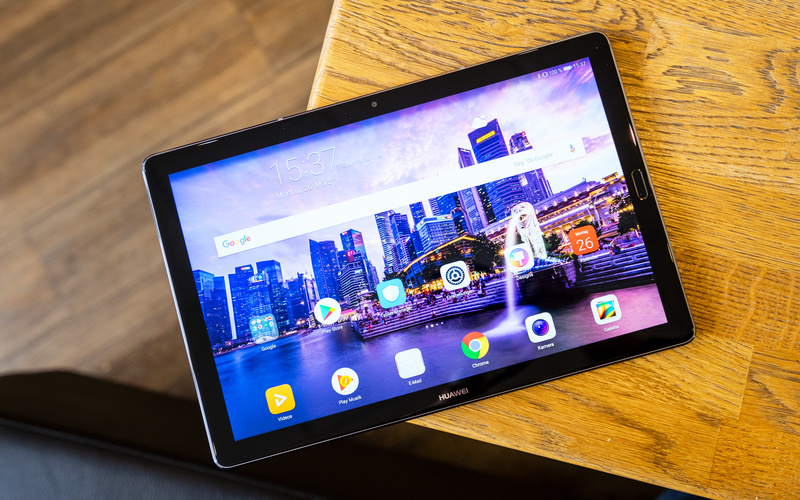 The Huawei MediaPad M5 tablets are getting an OTA update to Android 9.0 Pie and EMUI 9.0. One major change is new gesture support to navigating them. Huawei officially released an update to Android 9.0 Pie and EMUI 9.0 for their Huawei MediaPad M5 tablets. I got the info from two reader – and the guys at the XDA Developer Forum are talking about it too. Several users got their OTA update already. As of writing this, it seems that the MediaPad M5 10 and MediaPad M5 Pro are getting new software. If you own the MediaPad M5 8 as I do, you have to wait a bit longer. As I am told, the update to Android 9.0 Pie and EMUI 9 is quite big with 3.59GB. Like with their phones, the UI gets adjusted a bit, but we also get new features. Among those is new gesture support. With those, you can navigate your tablet and replace those typical three Android buttons. Those gestures are very similar to those Apple introduced with the iPhone X. If you like, you can continue to use those classic Android buttons. However, you can also use gestures with the fingerprint scanner. That’s what I like to do with my MediaPad M5 8 and other Huawei devices. Overall, the interface got a slight overhaul. Apparently, there are 10% fewer menus so that the UI does not seem as overloaded. You can also check how much time you spend in what kind of apps now. Another small change: If you change the volume, a popup appears on the left side instead of the top. Yes, a small change. These kinds of OTA updates usually are rolled out in waves. So, if you don’t have it yet, don’t worry. It should arrive in the next couple of weeks. In the settings, you can check manually if you can get it already. Otherwise, you will get a notification eventually that you can download and install Android 9 and EMUI 9. In the past, Huawei hasn’t been great with updates for their tablets. Because of that, it is very nice to see that it is changing. That way the MediaPad M5 tablets continue to be good tablets that I can recommend. I really enjoyed reviewing the big and small versions – and am still using the 8-inch MediaPad M5 8. I also like that they offer premium quality at an affordable price. As of now, they’re the only one running Android 9. However, that will change fast. The Samsung Galaxy Tab A 10.1 2019 and Samsung Galaxy Tab S5e will be released in the upcoming days. By the way, I don’t know yet if the Huawei MediaPad M5 Lite 10 or MediaPad T5 will ever get an update. The Huawei MediaPad M5 10 is an almost perfect Android tablet. It features a great build quality, an outstanding performance, good speakers, and features like a fingerprint scanner. In addition to that, the battery life is good and we get recent Android 8.0 Oreo. However, the MediaPad M5 10 is lacking a standard headphone jack and the software customization's are too heavy for my taste. I got the update to my Huawei Mediapad M5 10 today and i started the update with 100% on the battery and with the charger connected. The tablet downloaded the update and installed it and then the tablet restarted. After that i can not use my tablet anymore because something went wrong during the installation of the update. I followed what the tablet suggested and did a recovery that failed. I also did a factory reset and now the tablet are searching for updates that it never finds. I have tried to change the network that the tablet use. I have used 4 different networks and also the mobile network. My tablet are now useless and i can probably throw it in the garbage. Thank you very much for that, Huawei.